Previous PostOpinion: Greenway improvement at Beacon/Hanford hazardous, unnecessaryNext PostDo you have information about this burglary? Thank you so much for sharing this news. Our Art Walk will be happening from 3-6pm, thanks so much to the partnering businesses and families who are making it possible! 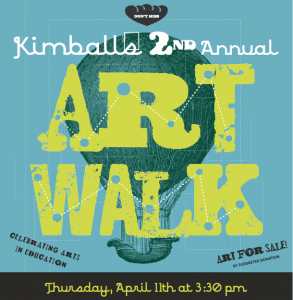 The Art Walk was a great way to tour our little neighborhood and see what the Kimball students are up to. Many thanks to the local businesses that participated!